We walked up Calle Santander and hopped in a Tuk Tuk for the short ride to Jucanya (Cakchiquel = other side of the river), where Prema’s beautiful studio and home are located. 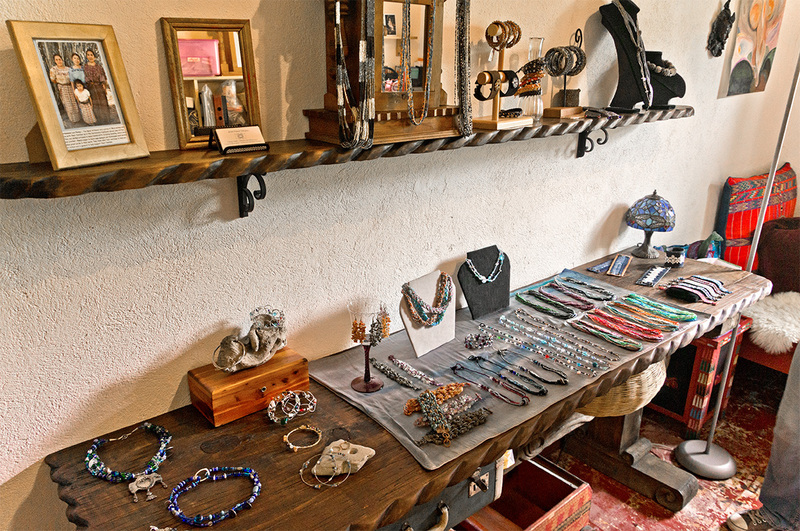 Prema has been working in the Panajachel area for many years, both creating her own pieces and working with artisans throughout the country. 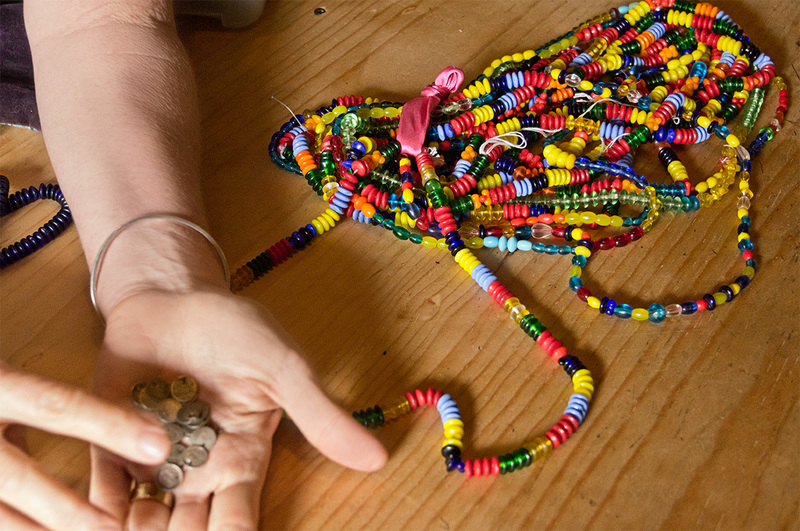 Her work in the jewelry field continues to create meaningful impact and empower women to have more creative and social control of their personal and community lives. Prema was kind enough to make the most amazing Chai we’ve ever tasted and welcome us to tour her lovely home, studio, and her husband’s amazing paintings and workshop; while we chatted about her pieces and experiences. AurumEve: How did you get into this line of business as well as the market? And was it difficult / was there hesitation from the women when you approached them? Prema: I came here 21 years ago. I had always liked working with my hands and crafts. When I first arrived, I met someone who had an artisan company and I worked with them in production for about ten years. Over time I was slowly meeting the Mayan and Guatemalan artists and realizing that what people really wanted was consistent work. 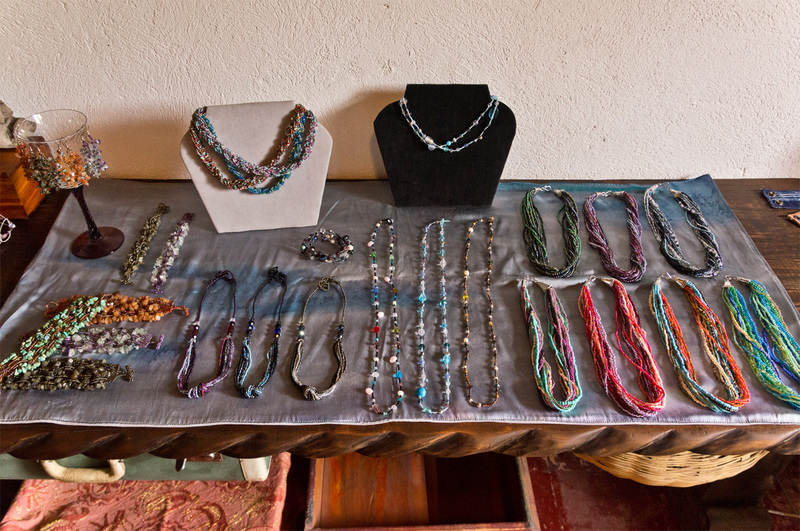 So combined with what I loved – textiles and jewelry I started to seek out artisans and work with them. I had also worked with a back strap weaving company called Maya traditions where I worked on design and marketing and the business aspect of the company. In regards to the women artisans I currently work with, I knew them through other aspects, so we had already established a relationship of trust and friendship first. I had also worked with Maya traditions, a foundation focusing on back strap weaving, education and health; I worked on design, marketing and the business aspect for them. Prema’s natural skills, passion and collaborative instinct have seen her through and have proven to be lasting indicators of success. While Prema did not formally study design, she has always been creative and worked heavily with textiles earlier in her career. She had previously worked in design with artisans in Mexico as well as throughout Guatemala before starting Deva Prema Designs. AurumEve: In regards to product development for artisan groups, what are the unique factors or benefits for the artisans that learn from you in this way, as they have been making these crafts for years? Prema: The majority of the artisans are proficient at making things for the local market but not for the export or international markets’ taste. So, there’s an aspect of design involved as well as production assistance. Also, as someone coming from the outside, you can objectively raise the bar on quality control. 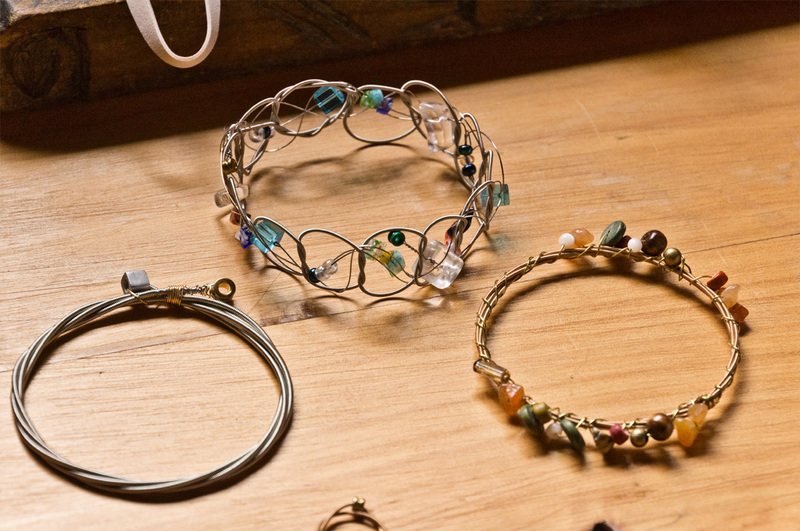 These beautiful pieces are made from varying sizes of broken guitar string. While sourced in the US currently, Prema hopes to be able to work with guitar string from Guatemala in the future. In the US, broken guitar string is routinely thrown out after the guitars are restrung. However, in Guatemala, when a guitar is restrung the broken string is given back to the owner as proof that the guitar has been fitted with a new string; additionally, Chinese companies are already have partnerships with almost all of the companies that are able to collect the guitar strings in the country. Scrap metal, like guitar string is collected around Guatemala and sent to other countries to be melted down and to create something else. The collection is part of an exclusive partnership that Prema does with a company in the states. These beautiful pieces are named appropriately, like the “The Sheryl” Crow, “The Bonnie” Rait, “The Stevie” Nicks and others. This beautiful antique piece was revamped by Prema herself. The guardapelo is the eye catcher of this sentimental piece of jewelry. These lockets were traditionally given to the bride by her mother in law. The bride would then place a photo of her husband and a lock of his hair, and a lock of their baby’s hair as a gift and keepsake. Prema bought this piece over 20 years ago in Guatemala! 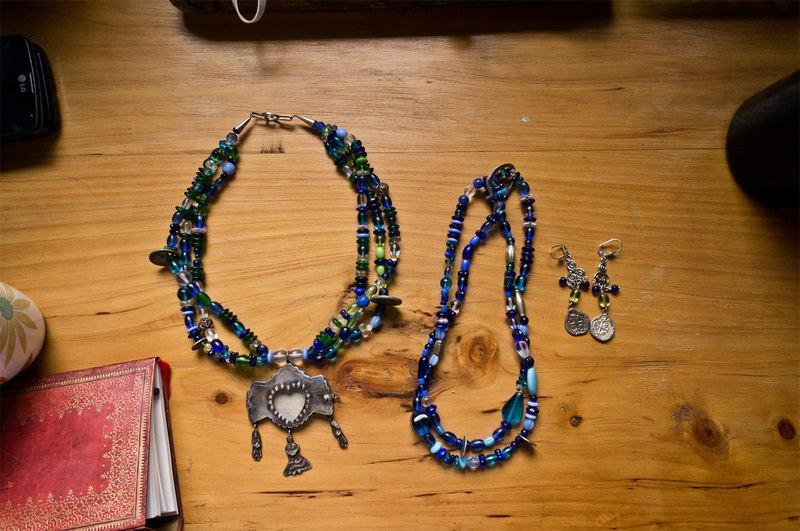 She beaded these pieces with antique Czechoslovakian crystals and beads popularly used in Guatemala. AurumEve: How has this experience been for you over the past 21 years and impact? Prema: http://www.devaprema.com/I see a level of confidence that’s really come through for the women. For some women it’s what they do full time and they are able to support their families. One woman’s husband was out of work for two years, so with this she was able to support their family during that time. Another close friend that I had met in the beginning was able to have her daughter graduate from high school and is going to college. These kinds of things that help people get out of survival mode is a dream come true.